Kicking off the discussion on “Offshore Wind: The Giga Opportunity” at NASEO’s 2019 Energy Policy Outlook Conference, Mary Beth Tung, director of the Maryland Energy Administration, treated participants not only to her office’s distinctive blue offshore wind socks but also a breakdown of the key issues that state policymakers need to grapple with to realize this growing clean energy opportunity: engagement of federal and private sector stakeholders, transmission planning, and, importantly, workforce training and development. “It’s offshore wind, but there are living breathing people on the opposite end of this as well,” noted Dr. Tung in emphasizing the need for communications, coordination, and planning. The discussion highlighted the growing momentum with which federal agencies, governors, investors, and private companies are embracing offshore wind technologies. In November 2018, Governor Cuomo issued a solicitation seeking at least 800 megawatts of offshore wind projects for New York, joining Maryland, Massachusetts, Rhode Island, Virginia, and others in enacting policies and commitments that support greater development. “We have done more in the last 53 weeks than we have in the past 10 years on offshore wind under Governor Murphy,” noted Sara Bluhm, Director of the Division of Clean Energy in the New Jersey Board of Public Utilities. Developing the state’s “Blue Economy,” Bluhm added, has required not only executive leadership and commitment but also strategic planning, partnerships, and a thorough examination of grid impacts, the supply chain, and workforce training infrastructure and networks in and around New Jersey. Judith Judson, Commissioner of the Massachusetts Department of Energy Resources, agreed, noting in particular that “the issue of transmission is becoming more and more important,” requiring multi-state coordination and planning. To view the presentations from “Offshore Wind: The Giga Opportunity,” visit https://energyoutlook.naseo.org/agenda. 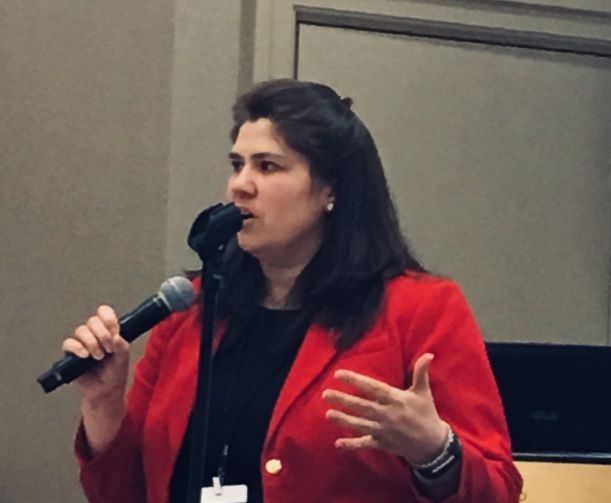 As a NASEO 2019 Energy Policy Outlook Conference keynote speaker on Wednesday, February 6, 2019, Dr. Fox-Penner highlighted key strategies for states to meet the climate challenge. The first: energy efficiency. Traditional energy efficiency programs have already captured the “low-hanging fruit”; now they need to now dig much deeper. “We need to move away from voluntary and measure-by-measure programs towards comprehensive retrofits and integrative design,” he stated. Such an approach is a hallmark feature of the newly-completed Carbon Free Boston Plan. It aims to retrofit 65,000 out of 77,000 buildings in Boston by 2050 to meet its goal of decreasing fossil fuel use 85% by 2050. The action could decrease air pollution in neighborhoods by as much as 75%. The second strategy: electrification, with a particular focus on the transportation sector. The Carbon Free Boston plan emphasizes the use of policies to advance electric vehicles, including charging infrastructure build-out and financial and other policies (such as preferential parking) to incentivize adoption. These aggressive strategies are not realistic without supportive climate and energy plans and policies at the state level, Fox-Penner noted. Crucial policy and program efforts that enable local action on climate change, such as Massachusetts’s leadership on energy efficiency resources standards, help pave the way for ambitious efforts like Boston’s. Other innovative state-wide efforts like the Massachusetts Department of Energy Resources’ Green Communities Program, Zero Emissions Vehicle program, MassEVIP Workplace Charging Incentives, and Energy Efficiency Advisory Council, can bring the ambitious goals of the Carbon Free Boston Plan within even closer reach. 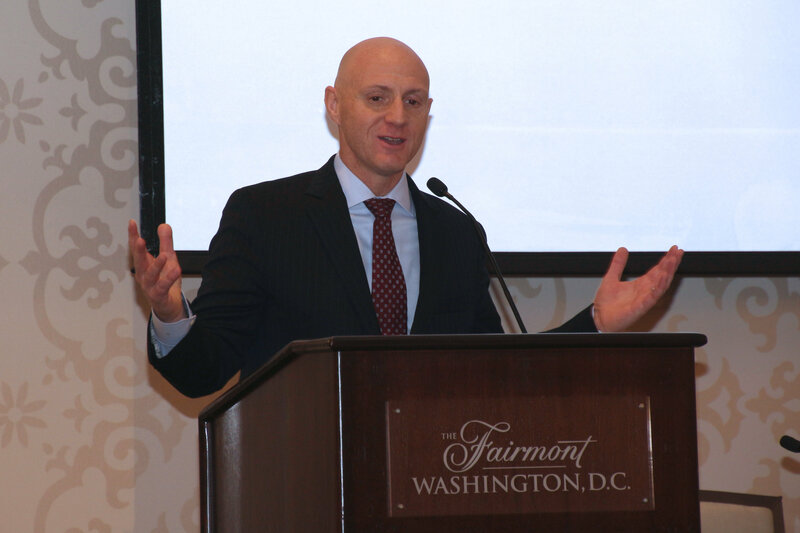 The opening morning of NASEO’s Energy Policy Outlook Conference featured Daniel Simmons, newly-appointed Assistant Secretary for Energy Efficiency and Renewable Energy for the U.S. Department of Energy. The answer lies in three key priorities: affordability, integration, and storage. As Simmons’s office develops energy policies and programs, such imperatives will drive DOE’s ability to invest in strategies to reduce energy costs, integrate diverse energy sources on the grid, and bolster disaster resilience and recovery through energy storage. Simmons particularly emphasized the need to advance building infrastructure and technologies. Seventy-four percent of national energy consumption occurs in buildings, offering significant opportunities for cost savings and innovation. To keep up with the conversation surrounding NASEO’s Policy Outlook, tune in to #NASEOOutlook19 on Twitter. The following post was contributed to NASEO by Kent Herzog, Competitive Transmission Manager, Burns & McDonnell. Burns & McDonnell is a sponsor of the 2019 Energy Policy Outlook Conference and Mr. Herzog will speak on offshore wind development and transmission issues during the “Offshore Wind: A Giga Opportunity” breakout session on the afternoon of Thursday, February 7. To date, offshore wind generation has not played a significant role in America’s movement toward renewable energy sources. However, that may be about to change. Several Northeastern and Mid-Atlantic states are actively proceeding with plans to jumpstart development of offshore wind energy resources. Though these are exciting developments, a number of questions must be resolved. Near the top of the list is the need to agree on policies, common standards and technical specifications for building and maintaining an offshore power transmission grid. 1. Specific locations of offshore interconnections to the onshore grid. Though there are potential interconnection points existing today, they are finite in supply and are unlikely to be adequate for all the capacity that could be built. Transmission corridors will need to be defined. In Northern Europe, offshore wind interconnections utilize a “hub and spoke” concept where islands of wind turbines are connected to land via spokes of high-capacity cables. Another possibility could be high-capacity transmission trunk lines connecting with substations onshore. Clearly, this plan must be established now, as it will dictate the course of development in years to come. 2. Integrating interconnections to prevent congestion issues on the onshore grid. Planning for electricity transmission is much like planning for a water transmission system, where high-volume pressure points must be identified. It is vital that the addition of offshore capacity not overload existing circuits. It would be short-sighted to not account for long-term onshore system upgrades as offshore power interconnections are planned. 3. Establishing clear responsibility for who develops transmission capacity. It is currently expected that offshore wind developers will be responsible for constructing the new power lines to onshore locations. These “gen-tie” lines would include construction of all equipment needed to interconnect with the onshore grid. Developers would sell the capacity they generate via state-sponsored offshore wind renewable energy certificates or similar vehicles that give them the authorization to sell their power. However, over time, this “every man for himself” strategy is likely to be unsustainable. The potential congestion issues already discussed could become a problem as more capacity is connected to the grid. It is likely that the best long-term answer may be creation of a framework where both wind developers and transmission developers work together to build a coordinated offshore power grid, much like the onshore grid we have today. 4. Establishing which entities will be responsible for managing the design and construction of transmission assets. Here the process gets even more complicated. It will be necessary for all states – each with its own state energy policy – to develop a coordinated framework that also meets requirements of the FERC, the U.S. Department of Energy and all impacted independent system operators (ISOs) and regional transmission operators (RTOs), as well as deal with complicated cost allocation issues. While it may ultimately be best for power consumers to split transmission from generation, this will take thousands of pages of rules and regulations to document how that happens. 5. Establishing clear rules for how states and regions coordinate development plans. To put it kindly, the states that have issued solicitations for offshore power development do not have a stellar record of working together. To date, there have been only minimal efforts on the part of these states to address interstate coordination of offshore wind transmission. But this isn’t the only challenge. The affected ISOs and RTOs also have a stake and all share a common interest in establishing efficient wholesale power markets and grid stability. To date, these ISOs and RTOs have struggled to agree on common frameworks for offshore and even onshore transmission issues, due to variations in individual state policies and stakeholder priorities. This will need to change. 6. Regulatory framework for offshore wind generation and transmission. All regulatory authorities and states will need to clarify rules of engagement if offshore wind generation and transmission were to be separated. The master plan is the right vehicle to do this. The patchwork of entities with a stake in the process is enormous. It includes the FERC, NERC, the DOE, the federal Bureau of Oceanic and Energy Management, all state utility regulatory commissions, state legislatures, and even the U.S. Congress and the President. The framework for establishing routing, siting and permitting ultimately may become a federal matter, much like FERC Order 1000, which opened the transmission grid to competition but set up allocations of transmission costs in proportion to benefits received. 7. Structures for offshore project financing. The matter of how these complicated offshore wind projects are financed also must be addressed in a master plan. Privately financed projects will require careful due diligence by investors who will want to understand all the risks likely to be encountered and whether acceptable returns are likely. If underwriters are skeptical for any reason, it is likely to result in delays or even cancelled projects. Clear and straightforward policies and standards will be critical for developers to obtain the financing they need. Despite the complexities, the U.S. offshore wind industry is in a great position to move forward on a number of projects. Transmission has the attention of key influencers. 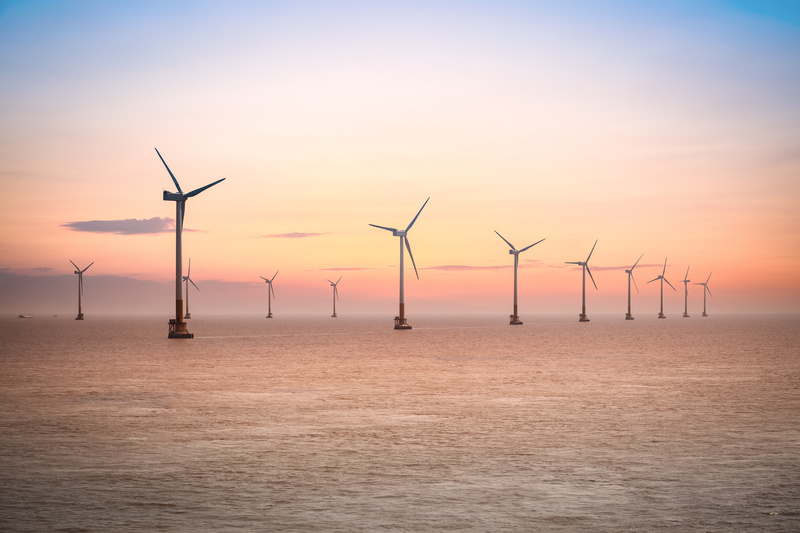 New York Governor Andrew Cuomo recently announced plans to quadruple his state’s target for offshore wind development and specifically called for development of an offshore wind energy grid as a means to achieve this goal. A lot of work remains but all the players have a right to be optimistic. 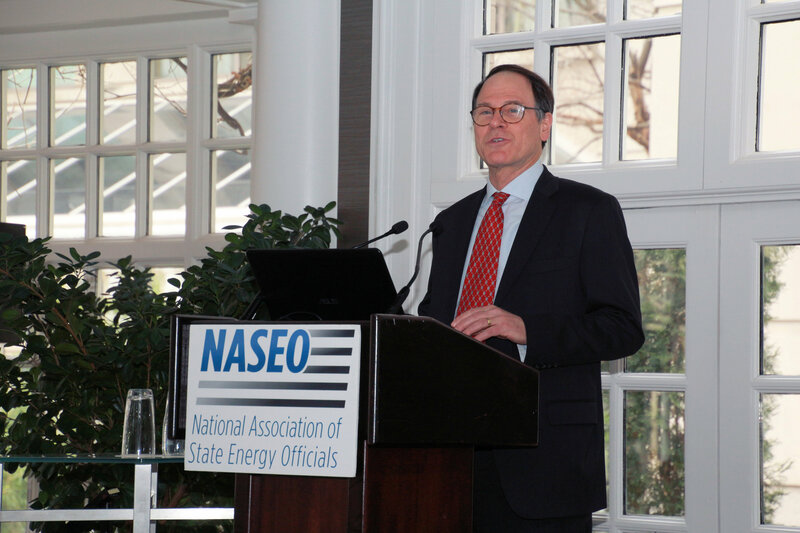 The National Association of State Energy Officials (NASEO) is thrilled to welcome you to Washington, D.C. next week for the NASEO 2019 Energy Policy Outlook Conference. To view the final agenda and learn about our keynote speakers, expert panelists, and conference sponsors, visit https://energyoutlook.naseo.org/. Below please find more information about conference logistics and highlights. The conference will take place Tuesday, February 5 through Friday, February 8 at the Fairmont Washington D.C. located at 2401 M Street NW, Washington, DC 20037. To pick up your name badge and meeting materials, check-in at the conference registration desk located in the Ballroom Foyer on the Ballroom Level. On Tuesday, February 5, beginning at 1:00 pm, NASEO will host several pre-conference discussion-oriented meetings covering various topics: energy equity, energy codes, grid-interactive efficient buildings, and transportation. We encourage all registered State, Territory, and Affiliate members to attend and participate in these important discussions, which help inform NASEO programs and member engagement and offer valuable networking opportunities. To learn more about the meetings taking place, visit https://energyoutlook.naseo.org/pre-conference-meetings or contact NASEO staff. Electronic versions of the final agenda and speaker lineup are available on the NASEO 2019 Energy Policy Outlook Conference website and the Whova conference app. The agenda and other conference materials will also be available in hard copy at the registration desk. NASEO would like to thank this year’s generous conference sponsors: CTC Global Corporation; Edison Electric Institute; and Burns and McDonnell. We also encourage you to visit our exhibitors: CTC Global; EnergyCAP; the Hawaii State Energy Office; and the U.S. Department of Energy Office of Fossil Energy. Attendees should plan to dress in business attire for this event. The weather in Washington, D.C. next week is forecast to be partly cloudy with potential rain showers throughout the week, ranging from lows in the mid-30s and highs in the mid-50s. While NASEO staff make every effort to ensure the conference space is at an appropriate temperature, we encourage attendees to wear layers during the sessions to remain as comfortable as possible. We are pleased to offer conference attendees the opportunity to connect over cocktails and light hors d’oeuvres after sessions adjourn on Wednesday, February 6 from 5:45 to 6:45 pm. 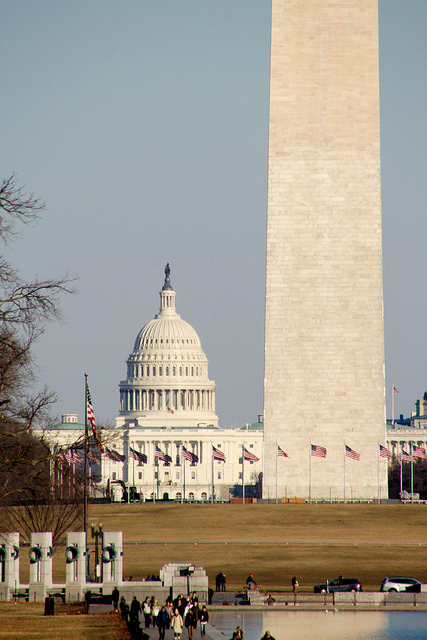 On the remaining evenings, we encourage attendees to explore Washington, D.C. NASEO staff are more than happy to provide recommendations of fun activities and good restaurants around town. If you have any questions or concerns prior to your arrival, please do not hesitate to contact Shemika Spencer at sspencer@naseo.org.